Young lawyer Lily has a lot going on in her life right now. She recently married after a very short courtship; she is starting her first criminal investigation with an interview in a maximum-security prison; and she has inadvertently just volunteered to watch her neighbor’s nine-year-old daughter, Carla, while the single mom works on weekends. The marriage to fledgling artist Ed sours quite rapidly when Lily learns the real reason for her new husband’s haste; and her prison interview with Joe Thomas, a convicted murderer who convinces Lily of his innocence and stirs passionate feelings within her, proves to be life-altering. Carla, despite her young age, has a mature propensity for getting what she wants, haunting everyone she encounters for years to come, especially Lily. Corry’s background as the writer in residence of a high-security prison has enabled her to create a psychological thriller that explores the minds and actions of some incredibly felonious and immoral, but deliciously interesting, characters. Look out for Jane Corry’s new book, The Dead Ex, available now. When young lawyer Lily marries Ed, she’s determined to make a fresh start and leave the secrets of the past behind. But then she takes on her first murder case and meets Joe, a convicted murderer to whom Lily is strangely drawn—and for whom she will soon be willing to risk almost anything. But Lily is not the only one with secrets. Her next-door neighbor Carla may be only nine, but she has already learned that secrets are powerful things. That they can get her whatever she wants. When Lily finds Carla on her doorstep twelve years later, a chain of events is set in motion that can end only one way. 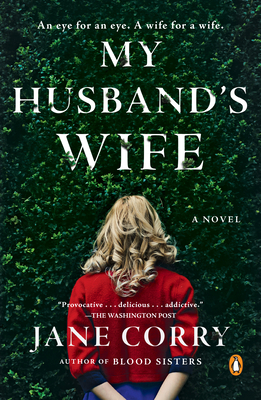 Jane Corry is a writer and journalist and has spent time as the writer-in-residence of a high-security prison for men—an experience that helped inspire My Husband’s Wife, her debut thriller. Corry runs regular writing workshops and speaks at literary festivals worldwide, including the Women’s Fiction Festival in Matera, Italy. Until recently, she was a tutor in creative writing at Oxford University. "Brilliant, original and complex, with a dark triangle at its center. A compelling thriller that kept me turning the pages until the end." "Lies fester and multiply, undermining intimate relationships in this psychological thriller. Corry's suspenseful debut novel is already a best-seller in the UK and is likely headed for similar success here." "A devilishly devious U.S. debut. . . this swiftly moving psychological thriller offers surprises right up to the finish."